Customers of Napier Centre complete surveys rating our services, cleanliness, professionalism and many other attributes. Our Napier self storage centre is just minutes from the historic Art Deco centre of Napier in New Zealand's Hawkes Bay. 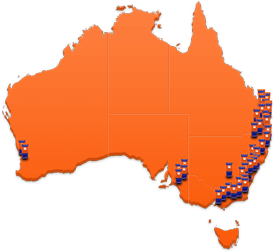 Easy to get to, our storage hub is bound by Latham, Wellesley and Munroe Streets and is adorned with our colours ­ you can’t miss it. Our customers love Napier storage because of the clean facility, great staff, excellent security systems and the very generous internal driveways which give you easy access to the ground floor storage spaces ­ you can just drive up and unload. The Kennards Napier Storage centre also houses our box shop: a convenient store which stocks a complete range of our moving boxes and packing materials, or anything else you could possibly need for moving, packing and storage. 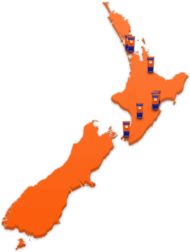 At Kennards Napier, customers can also make enquiries, payments and reservations for our nearby storage centre in Onekawa. Security fencing around the entire perimeter with acces to the facility strictly monitored. 13 C.C.T.V. cameras placed in strategic locations throughout the storage facility. P.I.N. code access into and out of the fenced and gated facility. Kennards customers don’t pay a surcharge when paying by credit card. You only pay for the time you use, ­ we’ll refund any unsued rent when you move out. We’ll give you a 5% discount if you pay in advance for 6 or 12 months. MAF Approved Transitional Approved Area - Y-36952. 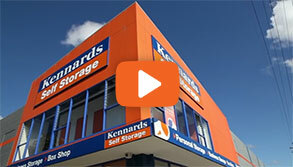 Why choose Kennards Self Storage at Napier? We are the cleanest and friendliest storage centre - drop in anytime and see for yourself! 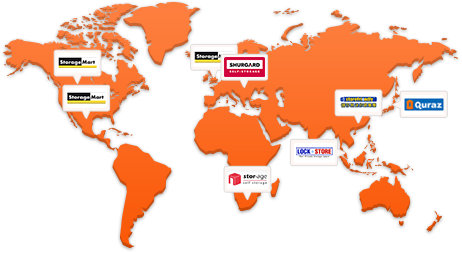 24/7 access to your storage unit, (subject to availability) visit at any time. Drive up access to many storage units to save you the extra work. Use of forklift, pallet trucks, trolleys - flatbed, fridge and mattress, free when loading and unloading. We offe Insurance for your goods in storage. Free tea, coffee and WIFI - why not stay a while?